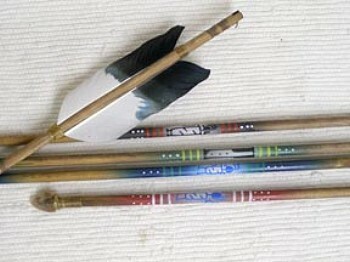 This arrow sold only in lots of 3 or more. 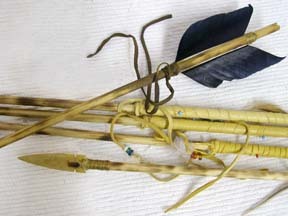 Price shown is for 3 arrows (1 lot). 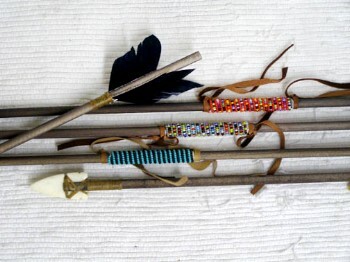 This is the BEADED ARROW which measures 32″ in lenth made by Curtis Bitsui of the Navajo tribe. 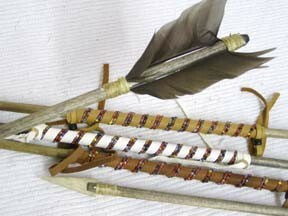 These are tipped with a pressed bone & resin tip arrow head & fletched with real feathers by hand. All wrappings & painting is done by hand. 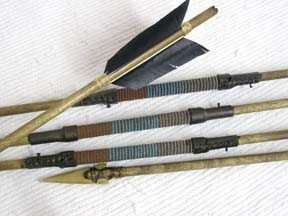 Each arrow comes with Certificate of Authenticity. Looking to buy in bulk for scouting or group event ? Contact us for special pricing.